Edward provides counsel on a range of transactional, corporate and health care matters, as well as data security and privacy issues. Edward represents clients in corporate ownership and succession planning, mergers and acquisitions and a wide range of contractual relationships. He guides physicians, dentists and other professionals in acquiring ownership interests in practices and related transactions. He also advises clients on data breach prevention and remediation, regulatory compliance, licensing and real estate matters. In representing health care facilities and practices, Edward’s experience extends to affiliations, mergers and acquisitions, joint ventures, federal and state regulatory compliance and licensing matters, corporate practice of medicine issues, fraud and abuse compliance, vendor and payor contracting matters, physician compensation and governance issues, and partner/shareholder buy-ins, retirements and buy-outs. Edward’s recent health law experience notably includes the representation of a nursing facility and its related businesses (including a home health agency, hospice, home care agency, and ambulance company) in the sale of their assets to several buyers. Edward was involved in various aspects of the deal, including the negotiation and drafting of asset purchase agreements, transfer and termination of state licenses, and coordination of closings. Edward has experience representing buyers and sellers of commercial real estate in the negotiation and drafting of purchase agreements, loan documents, leases and other transactional documents, as well as managing the closing process. Edward’s recent commercial real estate experience notably includes the representation of a buyer in a multimillion-dollar commercial real estate transaction in West Chester, Pennsylvania, which, as of April 2015, was the largest to occur in West Chester Borough history. In addition to handling negotiation of the transaction documents, Edward skillfully assisted the client in overcoming challenges in order to ensure the transaction closed on time. Edward represents a variety of health care providers in HIPAA compliance matters. He also has experience with the European Union’s General Data Protection Regulation and how it applies to U.S. businesses. 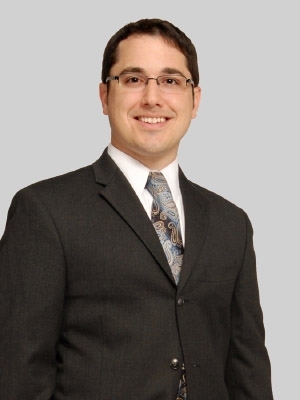 Prior to joining Fox, Edward was an associate at a Chester County law firm where he represented clients in various transactional and litigation matters, including as the lead associate for a complex commercial litigation case in federal court. While in law school, Edward was the Managing Editor of the Penn State Law Review, for which his Comment won the Thomas A. Beckley Prize in Legal Writing in 2011. He was also a recipient of the Dean’s Scholarship and a member of the Woolsack Honor Society. During summers, Edward served as a judicial intern for the Honorable J. Michael Eakin of the Supreme Court of Pennsylvania and for the Honorable John F. Cherry of the Dauphin County Court of Common Pleas. Prior to the practice of law, Edward was a private client associate for the Wilmington Trust Company, where he assisted in the management of approximately 120 trust accounts with assets worth more than $900 million.